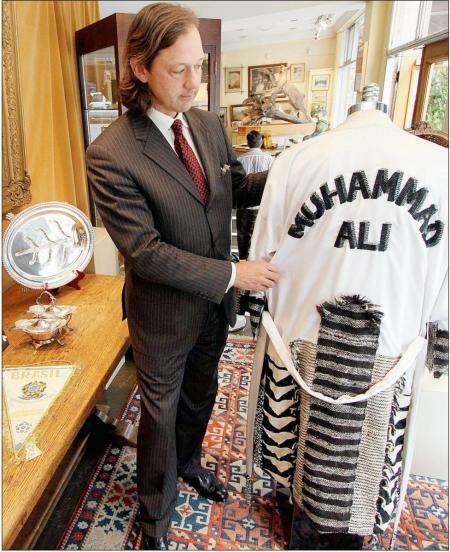 Boxing great and living legend Muhammad Ali, like many classic sporting figures, has spawn something of a mini-industry surrounding his memorabilia. Arguably the greatest boxer ever – and one who stepped out of the four-cornered ring to take public stances and become an outspoken celebrity – Ali’s artefacts can command big bucks. 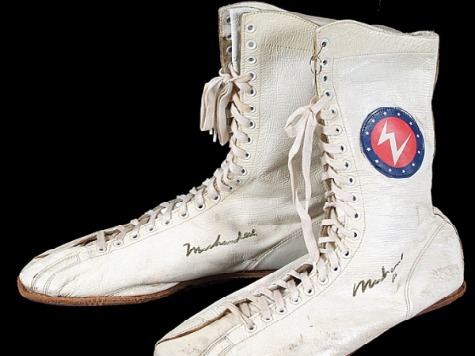 Here are five of the most expensive bits of Muhammad Ali memorabilia – and some of the priciest pieces of boxing history. 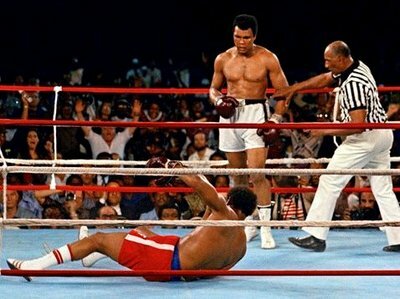 An iconic matchup between Ali and long-time foe George Foreman, this 1974 fight in what is now the Democratic Republic of the Congo saw Ali put down Foreman in the eighth round, to the delight of the packed stadium. 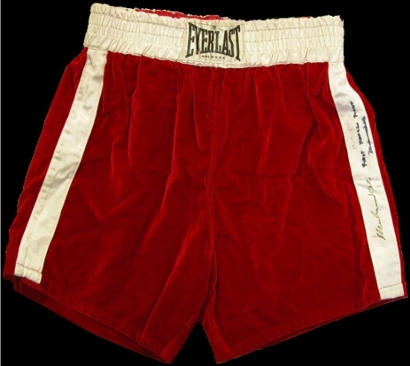 Ali’s trunks from the match fetched US$57,500 at a 1997 auction. In this 1963 fight against Henry Cooper, Ali was then still fighting under his real name, Cassius Clay. 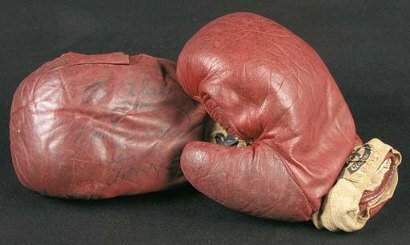 These gloves sold for $57,770 at a 2001 bidding contest. If you didn’t already know, Ali’s 1974 “Jungle” bout was one of his most famous. Not surprisingly, his fight kit is a hot collector’s item. His shoes from the fight were sold to an anonymous bidder in 1997 for $59,700. Ali wore this robe just before entering the ring to beat Foreman in the 1974 much-heralded contest. Though there’s some dispute about which robe Ali wore (there were two that were made, both similar and sporting African-style weaving) this one commanded $156,500 at a 1997 auction. Along with the “Rumble in the Jungle,” Ali’s other best-known fight is his 1971 battle against Joe Frazier at Madison Square Garden in New York City. This was a significant fight, as Ali hadn’t entered the ring in almost four years, due to losing his boxing licence when he refused conscription into the U.S. Army during the water in Vietnam. Ali didn’t win the match, but his loss sparked a big-league rivalry with Frazier that boxing fans still love to talk about. The trunks Ali wore during that historic loss went for $173,102 in a 2011 auction.